Part of what you do as marketers, business owners, or entrepreneurs is to create content. This could be a Facebook or Instagram post, a blog or a You Tube video. Its important to shuffle priorities in terms of what content we publish where and align them with there we see ROI at all times. The beautiful thing about a podcast is it lives forever. When you publish these podcasts as blog posts, its content that lives on. I could have done an Instagram live and Facebook live stream while I recorded this to get even more mileage. Some of you may know that this podcast was originally going to be called ‘Social Business Unplugged’, the unplugged notion of being able to hear something secretive. With a podcast, its the spoken word and you are investing more time into listening to for around the 20 minutes or so length of my podcasts. I want to make sure I give you information only available in this podcast. Today’s topic is ‘The Freshness Of Content.’ Please give a listen to the podcast here while you read the summary and associated links mentioned in the podcast summary below. I like to believe there are a few different types of content. First, let’s take a step back and talk a little bit about content. Content is the currency of social media/digital media. Without content, you literally have no presence on the internet. He started off by saying content marketing is nothing new and has really been around for a decade now. Content marketing is about bridging the gap between content that promotes your products and services and content that prospective clients want access to. Most big companies still publish self centered content instead of audience-centric content. This is the reality of today. Content marketing 2.0 looks at bridging both this gap as well as the employee advocacy gap between those in marketing and those outside of marketing. I will link the blog post to this podcast once it is published. With the concept of content marketing in our minds, let’s look at the different types of content as to how I define them and which are more appropriate for certain types of content mediums and social networks than others. Some content can be classed as ‘engagement content.’ This type of content is more personal, like a ‘selfie’ for example. You could mix an Instagram selfie with a motivational message aligned with your content marketing strategy. Anything that goes outside of your normal realm of content that’s very personal, i.e, having a good time on Facebook or sharing a quote or image, could be considered to be engagement content. So far, my best performing post on Instagram is a sunset picture over the Pacific Ocean that has approximately 900 likes. I have almost 16,000 followers. When you hit 3% engagement rate on an Instagram photo, you’re doing well, and if you can get to 6% or above, that’s really good. The sunset picture is not tied to my content strategy but you sometimes have to go above and beyond your own own content to build a social media following. Audience-centric content still deals with prospect’s problems that you can solve through your products and services. Through visual posts, we humanize our brand while building a greater attraction. You never know these elements of things you talk about as a human being that can bring you closer to current clients and even prospective clients. Perhaps that sunset picture brought a potential sunset-loving client following me even closer to me. You may be familiar with this strategy of building different data points as a vehicle to connect with more people if you have read my two LinkedIn books or heard me speak on the subject of LinkedIn. I recently published a new free ebook to help you maximize your LinkedIn for business in 2018, all updated. In LinkedIn, you should flesh out your profile completely to build all the data points that will potentially help you connect with people. Even jobs you had 20 years ago, volunteer activities from being a part of your community or parenting, knowledge of foreign languages, professional certifications – anything that you put in your LinkedIn profile is a data point that can help you build relationships through those viewing your profile that might have those same mutual interests or experiences. In the same way, engagement content in the form of visual posts helps to humanize your brand and deepen relationships with those who have similar interests by generating these connective data points. So on which social networks should one share this type of content? For instance, I create engagement content to tell stories of my business trips by snapping photos of the places I visit. This is engagement content but indirectly related to the events that I speak at or companies I consult. This content definitely works best on Instagram, then Facebook and to a lesser degree, LinkedIn and Twitter. LinkedIn, you ask? Absolutely! Engagement content is increasing on LinkedIn in part due to the increase of Millennials using the platform. Sharing more personal content on LinkedIn might just help you build better connections there. The remaining types of content that I will discuss are all based on the written word and often going much deeper than what is in the caption description of an Instagram post. This comes under blog content and documents that help prospective buyers through the buyers journey. This obviously could include videos, but I want to focus on blog content as I feel it is a very successful medium for most businesses engaged in content marketing. Blog content helps you build your search rankings, gives your social media followers something to engage with, and gives content creators somewhere to link to – all while helping your clients and prospective clients better understand the solutions to their problems. I have a more than ten-year history of creating written content, and with that experience comes some important knowledge I want to share with you today. I began my blog as windmillnetworking.com after I published my first book ‘Windmill Networking: Understanding, Leveraging and Maximizing LinkedIn.’ Prior to that, I published WordPress articles via a now defunct LinkedIn WordPress publishing app. I focused on LinkedIn and provided expert advice for LinkedIn questions, which became the name of the blog. Through these initial blogs, I built up influence on the topic of LinkedIn before publishing that first book in 2009 shortly after creating that Windmill Networking brand. Fast forward two years to 2011, I received an increase in guest bloggers. If you have read my blog post on ‘Why I Rebranded My Digital Presence’, you will know this history. It was through one specific blogger, Amy Stephan, a social media for non-profits blogger, that I got the idea to launch a platform, which became maximizesocialbusiness.com, where I could host my content along with other bloggers and create an entirely new platform. I then kept my personal brand and company content on windmillnetworking.com and moved the entire blog over to the newly established maximizesocialbusiness.com. 2 years later in 2013, Windmill Networking became maximizeyoursocial.com as I came out with my book of the same name. That’s why I currently run two sites, maximizesocialbusiness.com and maximizeyoursocial.com now known as nealschaffer.com where I host my podcasts. I made this change last year and wrote the blog post on rebranding to explain how algorithms work and why people have greater affinity with other people over brands. 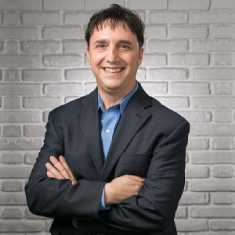 I am now going to integrate both sites into nealschaffer.com as I believe this has the chance to yield the most influence and the best chance for my bloggers – as well as myself – to get our content exposed. As I prepare for the merger of Maximize Social Business and Neal Schaffer, I have come to deeper understanding of the different types of content, and most importantly, the importance of understanding the freshness of content. The topic is not timely and people aren’t searching for it. By removing irrelevant content, I can expose people to the newest and greatest content and avoid a high bounce rate. Some posts still get tons of hits and this type of content is truly ‘evergreen content‘ which have literally withstood the test of time. If engagement content is fleeting, your evergreen blog posts should last forever. You should not feel embarrassed to tweet these posts out several months if not potentially years after you publish them. This is the ideal type of content that will give you the most mileage for the time you invest. I try to make all of my podcasts and blog posts evergreen wherever possible but changes do happen. Because of these constant changes, all blog and You Tube content has an expiration date. The day may come when you need to delete that content. If you started a blog a few years ago, you may want to go back and start deleting content that doesn’t fall into this or some of the below categories. We have other types of content. We have news content from sites like Mashable that will be difficult to compete with. They already have greater domain authority and a larger following than you. I believe that there is little value in publishing news that everyone will read somewhere else anyways. If you want to analyze that news and make an evergreen post, it is possible and I have done so with some news. These news pieces have value on LinkedIn, Twitter and email newsletters but I would be very careful with regards to your own blog content. If you do want to go this route, you should audit your site regularly. I use SEMRush and the broken link checker WordPress plugin, and through using these tools, I have discovered 404 errors which indicates someone deleted content from their site. What surprised me was that authoritative sites like Forbes and Yahoo were deleting a great amount of content that my bloggers and myself had linked to. Furthermore, they are not even putting up 301 redirects because the content is no longer relevant. This was a turning point in how I view the freshness of content. Neil Patel talks about the expiration of evergreen content in his blog post ‘Less Is More’. He regularly updates his posts to make sure they are still evergreen and resourceful. I believe we should all be doing the same. In the middle of engagement and evergreen content, you will have a lot of different types of resourceful content which may not be evergreen. Posts that mention a year will be considered old and irrelevant the following year but they will be considered resourceful for several months after publication date. You must be careful with resourceful content and news content. You must audit this content on a more regular basis than compared to evergreen content to understand its freshness. Either revise, delete, 301 redirect or consign this content to 404 error pages. I hope you took away something from this podcast and I hope you will keep listening in the future. Over time, you will hear more interviews with really smart people who I want to help expose. I hope you will enjoy these interviews as an addition to my podcast. If you liked this podcast, the number one ROI for me is knowing I helped you, so I would really appreciate a rating and review on iTunes. Since it’s been awhile since my last podcast, I also wanted to throw out that I’m in the midst of publishing a new book on influencer marketing called ‘The Business Of Influence’ which you can pre-order here. I think Influence Marketing is the next revolution of marketing and social media marketing, and you’ll be hearing me talk a LOT about it in upcoming episodes. That’s a wrap: Wherever you are in the world, make it a great social day!